Don’t you wish all the clutter in your house would magically disappear? Wouldn’t it be great if your kids and family enjoyed cleaning up and working together? Putting away your toys was always a constant and nagging chore as a kid, but what if cleaning up was fun? … maybe it can be… in the virtual world at least. 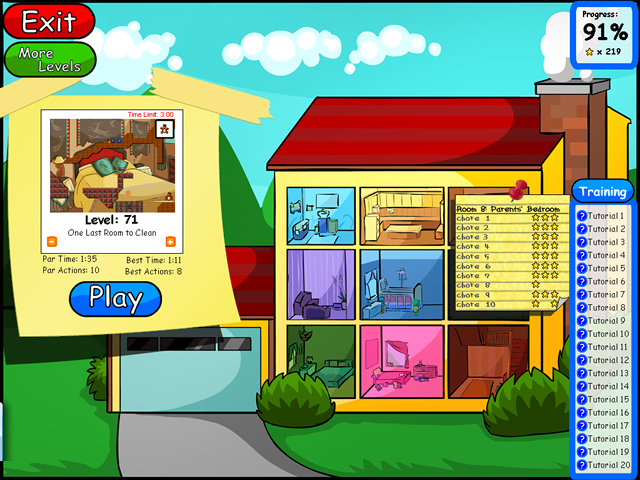 - 16 Zany and Wacky Toys! 20 interactive tutorial levels will teach you the simple point and click controls and levels will unlock based on your ability and performance. Cleaning up your toys is frustration free! 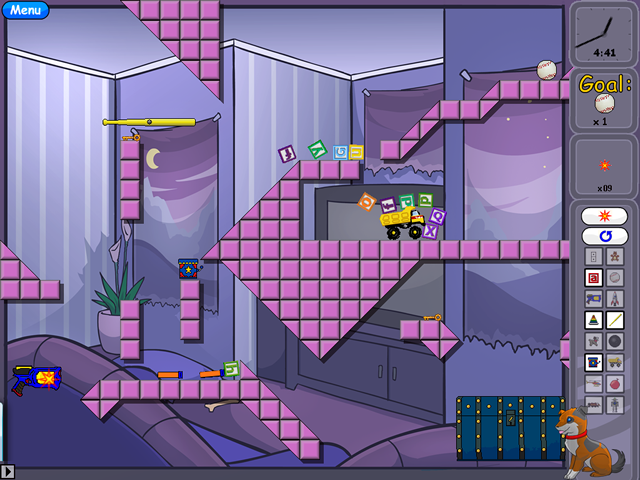 You can skip a level at any time, have infinite lives, and can quickly restart a chore with the press of a button. Did I mention there were in-game tips and hints? Don’t let its looks deceive you. 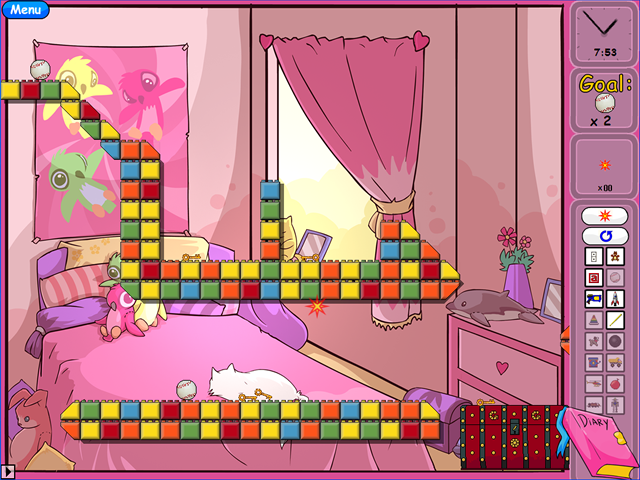 While the Magic Toy Chest is a kid and family friendly game with no violence, it also has some mind-bending puzzles. 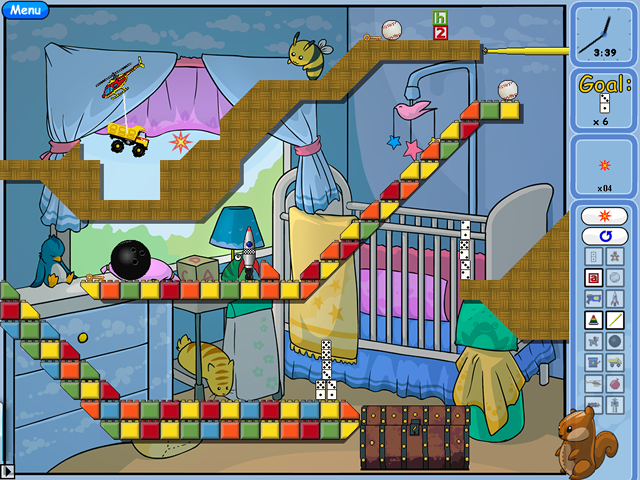 You’ll have to use 16 zany toys, control time, and build Rube Goldberg contraptions to collect all the unlockable trophies and rewards in the game. Remember the Incredible Machine, we do! The sandbox physics of the game make it great fun to just sit around and experiment with the whole family. 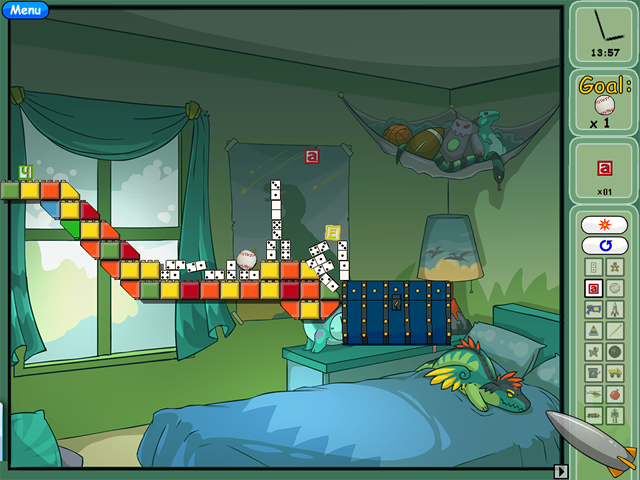 You can even make your own levels and share them with your friends with a fully featured level editor. What are you waiting for? 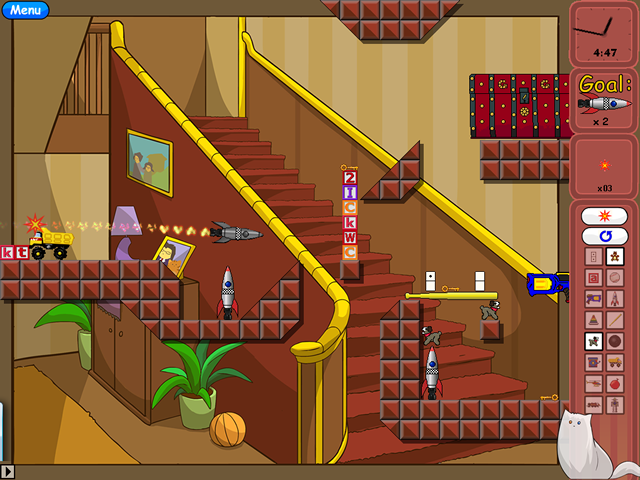 Try our free game demo and clean up your toys before dinner! 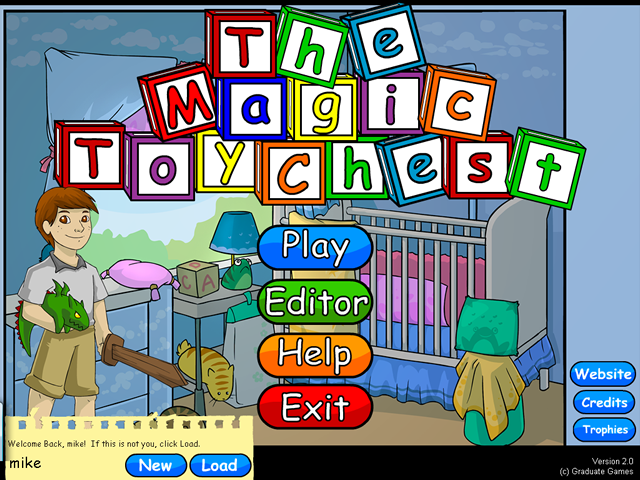 The Magic Toy Chest is the first video game that makes picking up your toys fun. This physics puzzle game gives every one of your toys a unique weight and ability. Your goal is to clean up these toys as fast and efficiently as possible before your parents’ dinner party. 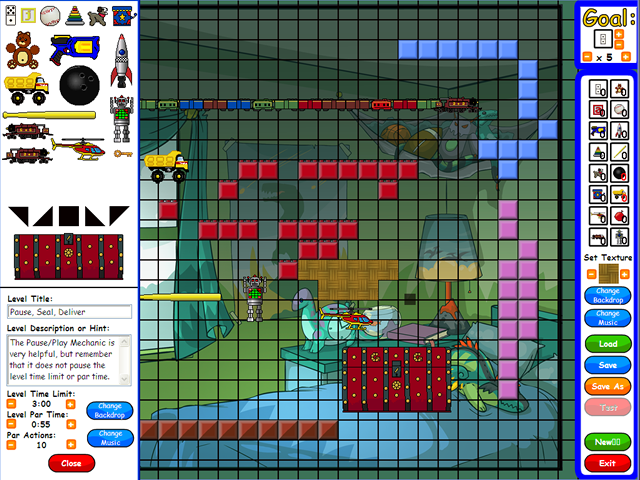 The dynamic physics sandbox of the game allows for creative solutions and the freedom to create solutions to the over 100 puzzles in the game. If you are unsure that your PC will run the game ok, please download and try the demo first. The demo uses exactly the same code and engine, so if it runs ok, the full game will. If you have any problems ordering the game, or questions, check our our FAQ, read about our guarantee or contact us.